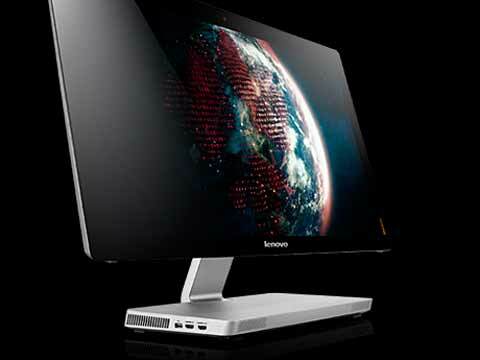 LAS VEGAS: Lenovo on Wednesday announced to expanded all-in-one desktop line & more adaptable laptops at the 2015 International Consumer Electronics Show for consumers. Lenovo unveiled few new products at 2015 International Consumer Electronics Show as a small preview before the devices hit markets. Consumers now have a new option for affordable Android tablets with the two Lenovo TAB 2 A7 models. With our new Windows PCs, users get even more flexibility for work and play with the FLEX 3 convertible laptops. Lenovo also unveiled first desktop featuring Intel's RealSense 3D camera, and the space-saving C20, C40 and C50 models. "Consumers today want devices as that are as unique as they are," said Tom Shell, vice president, Product Group, Lenovo. "That's why we've expanded our range of devices across all platforms - laptops, desktops and tablets. With choice of operating system, mode, form factor and key technologies, users can choose the Lenovo PC that's perfect for them." Convertible laptop FLEX 3 now comes touch screen to rotate full circle so users can put it in Tablet mode. FLEX 3 gives users even more flexibility to do more in any mode: watch the latest hit drama in Tent mode, view family photos in Stand mode, read a novel in Tablet mode or type a document in Laptop mode. Thin and light, the FLEX 3 convertible laptop also offers a full Windows 8.1 Update with live tiles and an interface across Windows devices. For first time tablet buyers, Lenovo created the extremely affordable TAB 2 A7-10 and A7-30 running on Android platform. This ultraportable "phablet" lets users carry one device to do it all while they're on the go. In addition to phone calls via support for the SIM card, the 3G technology makes streaming videos and music fast and smooth. Lenovo's first AIO with an Intel RealSense 3D camera, the B50 3D Camera with Windows 8.1 update gives users an entirely new level of interactivity and productivity, allowing the PC to see like the user does with its 3D camera. "Lenovo continues to innovate with beautiful Windows devices including its new B50 that will give users a premium 3-D experience in an all-in-one and its entry-level priced FLEX convertible laptops that make portable computing affordable for everyone," said Peter Han, Vice President of WW OEM Marketing, Microsoft Corp. The 3D camera features full 1080p color and a depth sensor to simulate depth-sensing and vision capabilities of human eyes.